Study after study shows that homeschooled children receive an all-around better education. The one-on-one relationship between the starter student and the teaching parent leads to astonishing academic progress. Ginny affirms with humor and good sense that homeschooled children have teachers who love them more than anything in the world. 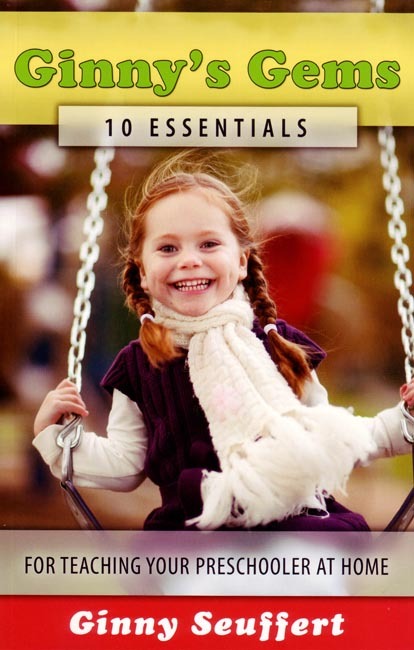 Her practical counsel will help your homeschooled children forge strong ties with parents, siblings, and other family members. After all, what could be better then to learn life skills at mom’s knees! Ginny’s Gems: Teaching Your Preschool Child at Home is based on Ginny’s experience as a wife of over forty years, a mother of twelve children, and a grandmother of sixteen. Most of all, this book is based on her more than twenty years of experience as a Catholic homeschooling mother. Softcover. 60 pp.